Leeper Tax Law was established in 1956 by Towner and Lafonne Leeper. Towner was a CPA who graduated with top honors from the University of Texas Law School, became an IRS trial attorney for four years, and then moved to El Paso and practiced federal tax law for 50 years. 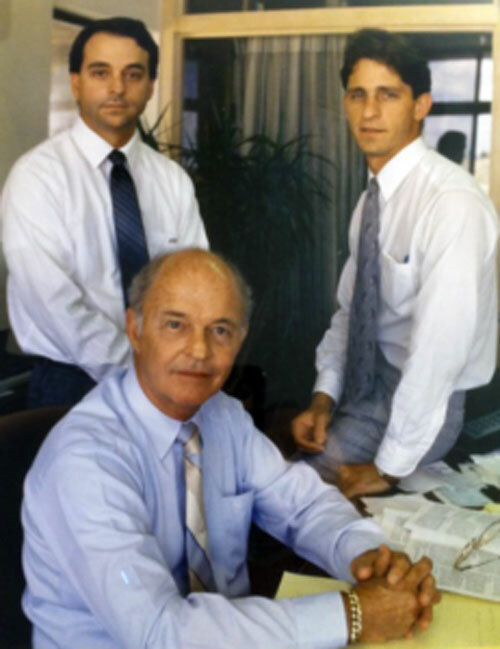 He was joined by his sons David Leeper in 1978 and John Leeper in 1986. The firm’s practice has always been restricted to federal tax law. It is dedicated to replacing fear and anxiety with a plan of resolution. I have been a tax lawyer for over 40 years. I have been board certified by the Texas Board of Legal Specialization since 1987. I have two law degrees: a Juris Doctor from Texas Tech University School of Law and an LLM (in Taxation) from New York University Law School. Typically we charge a flat fee – no bills for telephone conferences, secretarial time, postage, etc. Normally we can tell you at the first conference the likely fee, likely result and the time required to obtain that result. I am a federal tax attorney committed to representing taxpayers before the Internal Revenue Service. Over the years I have litigated dozens of cases, some of which have been reported in the Wall Street Journal, Associated Press, Newsweek, etc. I have also been the lead witness before the Senate Finance Committee in hearings on the Taxpayer Bill of Rights. In short, I am an advocate. I am not an accountant, an enrolled agent, or a former IRS minion. My interest is in getting the right result as quickly as possible. I do not get paid by the hour or the page, and I am not afraid of the IRS. Our goal is to obtain the right result as quickly and inexpensively as possible. Normally we can tell you at the first conference the liely fee, the likely result, and the time required to obtain that result. Typically we charge a flat fee, there are no bills for telephone conferences or secretarial time, postage or other such nonsense. We do not charge by the hour. We have been successful in having the IRS pay our attorney fees. In Portillo II, 988 F2d 27 (CA5, 1993) the IRS was ordered to pay $75000 in attorney fees on a case in which $8,300 in taxes was in dispute. See also Images in Motion, TC Memo 2006-19, where the US Tax Court awarded $16,352 in attorney fees. See also Salopek, TC Memo 1998-385, where the US Tax Court awarded $12,565 in attorney fees. We have also received awards of attorney fees from the IRS administratively.